TV is a cover or the shield for the barcode cards scanning camera. Poker scanning camera is perfectly hidden inside the TV. Compare with car key and power bank poker cards reader, TV casino playing deck inspector is used for long scanning distance. 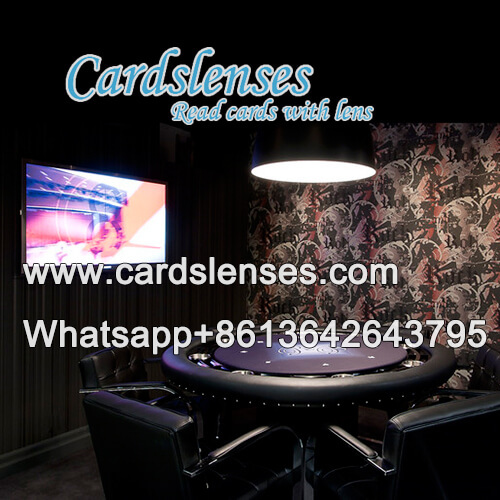 What is more, in order to scan the barcode marks on the edge of the playing deck successfully, the scanning camera need to face squarely to barcode playing cards. So, customers need to tell us the distance between your TV and the poker table. Once the poker deck inspector scan the barcode marks, the left steps is very easy to go. Within 2 second, you can get the result by audiomonitor. Except for scanning the barcode playing cards, this TV poker deck inspector can also read IR marked cards. You can see through all the playing cards with it.